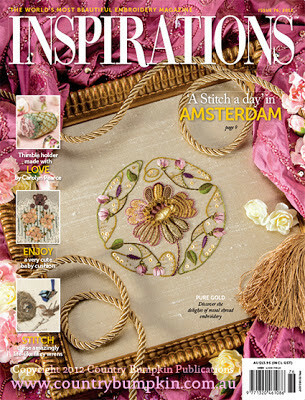 A little while ago Australian publisher Country Bumpkin informed me they had a stitch a long coming up of one of the projects in the current issue (issue 76) of 'Inspirations' magazine. I'm a little late in writing about it but you can still join in if you want to. It's a gorgeous appliqué/embroidery pattern called Flame Tree by Kelly Fletcher. Maybe you can't really tell from the photo but 17 different embroidery stitches were used in this pattern, including one of my favorites: the wheat ear stitch! You can join the Inspirations Stitch a long Flickr group here. 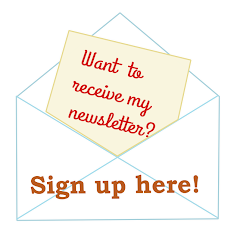 Obviously you will need the magazine to make this project. 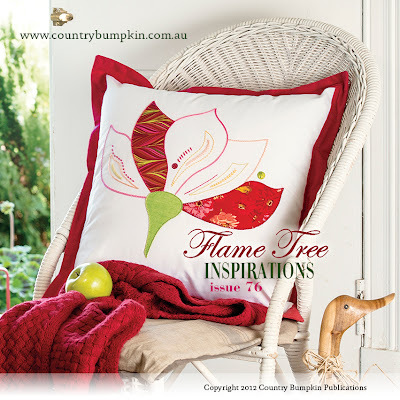 You can buy both a printed and a digital copy on the Country Bumpkin website. As I understand it 'Inspirations' is available in the UK as 'Classical Inspirations'. So because I needed to know what it was all about Country Bumpkin sent some copies of Inspirations magazine. 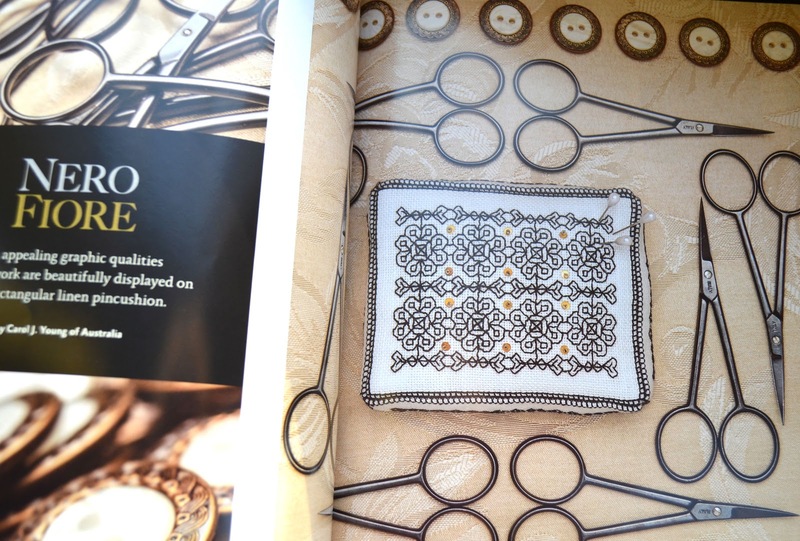 I hadn't come across it before and was pleasantly surprised, it's like an embroidery glossy for the 'serious' stitcher! 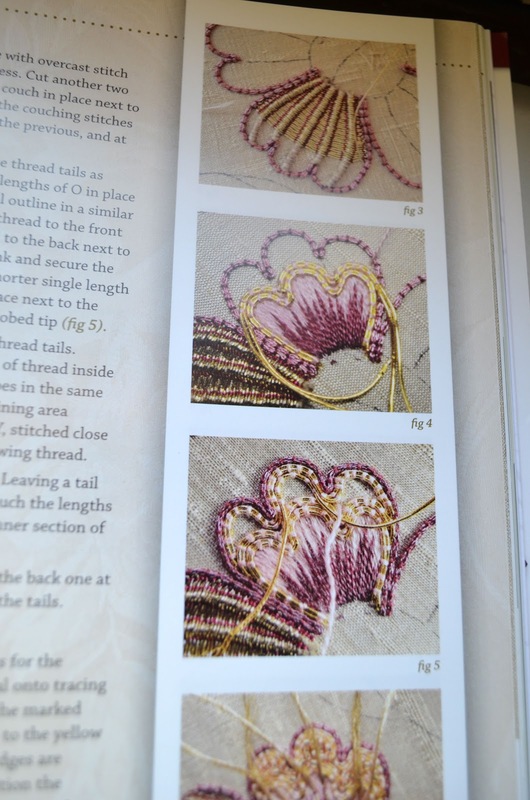 Sure some of the motifs and projects are fairly traditional but these techniques and stitches are of all times and would certainly interest any stitcher who is curious about learning new things and taking their skills to a higher level. 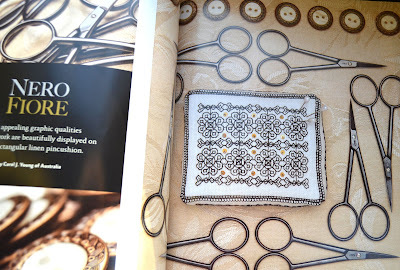 And how about this really lovely blackwork pincushion? How lovely, thank you for sharing. I live in England and am fairly new to embroidery although I have done cross stitch work for years. I am still learning but I particularly love to do blanket stitch as I find it relaxing. I am also fond of the lazy daisy stitch and french knot. Nice giveaway! That stitchalong looks fantastic. I've never read this magazine before, but I do run into it all over blogland! What a fun giveaway. I also love Kelly Fletcher. I don't really have a favorite embroidery stitch, I love them all. Hi I am in England. One of my favourite stitches is Fly stitch. What a beautiful pattern. I live in Michigan, USA. I love the eyelet wheel stitch and the fly stitch is fun! thank you! WoW! Looks like an amazing magazine. I'm in California, US and I don't remember ever seeing this magazine. This year I'm doing a BoM embroidery project called The Gardner's Alphabet. I'm excited as it's a beautiful quilt and I'm going to be learning lots of new stitches. Right now my favorite stitch is the English Daisy. It's not really a stitch, as it's more the flower you get after alot of stitches, hehe. I love the classical stitches. I've never read this magazine before I love to win :D.
Lovely pattern! I'm in Michigan, USA. It's hard to pick just one, but I really like the chevron stitch! I just took a class on feather stitching at the Smocking Arts Guild of America Convention. I hope to perfect my ability to do that stitch nicely. It is a beautiful stitch. I live in Elizabethtown, PA in the US. My favourite stitch has to be the french knot. So versatile and easy. Love it! Thank you so much for this great giveaway! I live in the UK. what a beautiful magazine, I would love te read it! I love to stitch on my art journal pages and for that purpose I use the chain stitch and french knot a lot. I'm in the UK! I like feather stitch and split stitch! I used to have a subscription to Inspirations for a number of years. Then money got too tight and I had to give it up. I haven't seen a new one in several years. I would love to see this one. One of my favorite stitches to do is the cretan stitch. It is not very applicable, but when it is it is a lovely stitch. I love to use chain stitch for embroidering names and flower stems. I also really like bullion stitch which I used in a flower garden embroidery many moons ago. Split stitch is my "go to" stitch. I'm in the US (in Florida). Thanks!! Backstitch was the only stitch my mother taught me. It will always be my favorite because I think of her and simple beginnings! Love Inspirations!!! Worth the money just for the beauty of their photography. I am proudly from New Jersey.